Today is a pretty special day for me. On September 22, 2006 I started a life changing journey. I stepped on the scale at 250 pounds and decided I’d had enough. I was tired of being fat. I was tired of being unhealthy. I wanted a change. 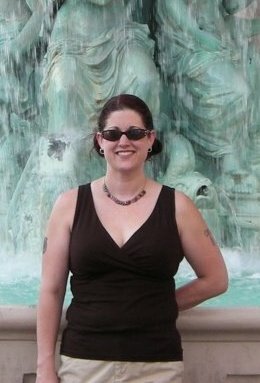 Less than two years later on August 10, 2008 I stepped on the scale at 150 pounds. I had reached my goal of losing 100 pounds! It was one of the happiest days of my life. I’d been determined to lose the weight. I saw immediatel progress and that inspired me to keep trying to lose weight. I had set backs. I experienced many plateaus in my journey. I clocked in too many hours to count at the gym. But I never regretted a single moment of it. These two pictures were taken over the weekend. I wanted to update my “Fat Pants” photo. 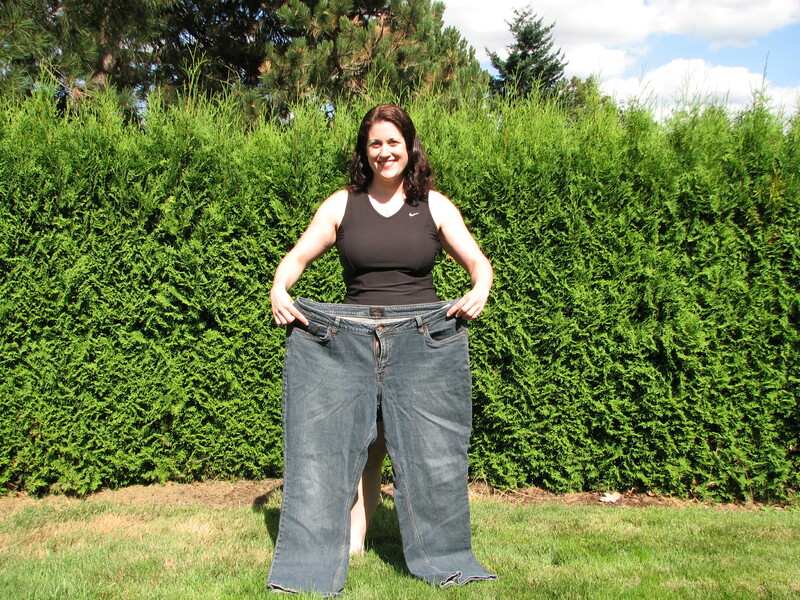 Those pants are a size 24W–the largest I ever wore. Putting those old jeans on this weekend was awkward and weird. Not only that, I had Michael take the pictures of me. I felt vulnerable stepping back into those 24W pants. And it was weird for Michael to see them (for me). He never knew me at 250. I am happy with my journey. I did not have surgery. I did not do fad diets. I did not join any “clubs” to lose weight. 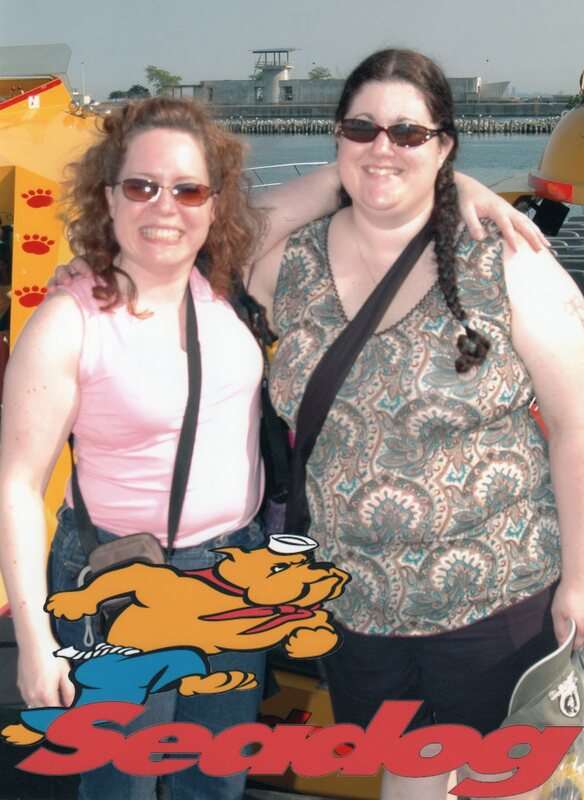 In retrospect, if I had struggled to lose weight I think I would have joined Weight Watchers for the support system. But I did it all on my own. I counted calories religiously every day. I wrote them down by hand in a small notepad. Eventually I upgraded to an iPhone App that tracks my calories and exercise. I wanted to challenge myself further. I joined a team for Hood To Coast (a 200 mile relay race). Hood to Coast is approaching fast and I’m excited to be a part of it. I’m excited that I am ABLE to participate! 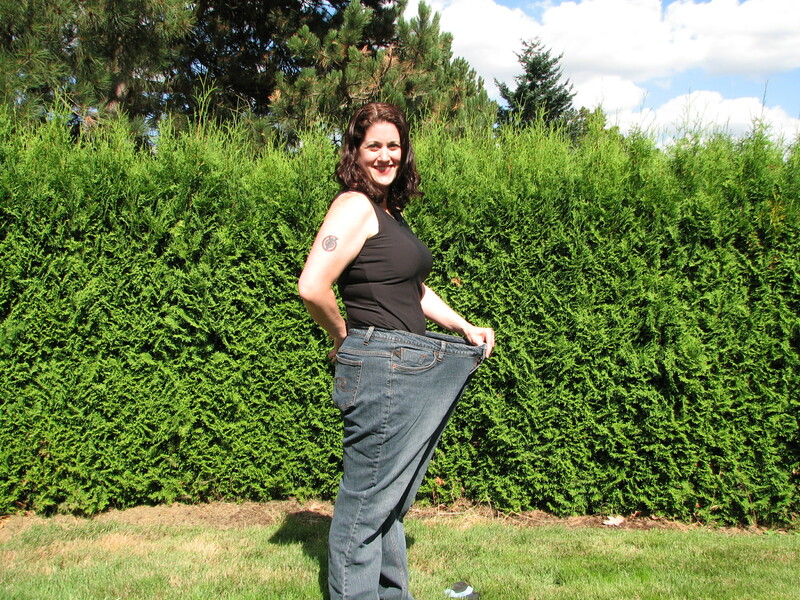 My hope is that this blog and this post inspires other people to lose weight and get healthy. Happy Anniversary!!!! I’m so glad you’re taking time to take pride in your accomplishment. Hooray for you! You are an amazing inspiration to others. Congrats, Lisa!! I wish I had kept a pair of fat pants but I got rid of all remnants of my 250 pound days. You are swimming in those!!! Happy anniversary! I am so, so happy to watch you continue succeeding as an athlete. I hope one day I can take a fat pants picture as great as that! congrats on your anniversary – you are an inspiration! Congrats! What an awesome accomplishment!!! You are definitly inspiring me! I’ve been reading your blog for about a month or so and now check each day to read your latest posts on my morning break at work. It gives me the mental boost I need to keep on my weightloss journey (down 33 pounds so far!). Thank you for sharing with us all! Happy Awesome Anniversary indeed!!!! 🙂 You rock!!! Now that is an anniversary worth celebrating! Maybe I can do the fat pants thing some day, too. Thank you! Weight Watchers is a great program. Good luck on your weigh-in! Losing weight definitely made me happier. I hadn’t realized how unhappy I was being so large until I saw it could be different.